Mark the day and time because this will probably one of the only tomato-centric recipes I ever post. I don’t like tomatoes. But, oddly enough, I like ketchup, tomato sauce and most form of tomatoes that have been pummeled, pureed or simmered. Maybe tomatoes just taste better after they’re destroyed. Tomato sauce is on my approved tomato dish list and is one of those simple sauces that can be used in thousands of ways. I enjoy making my own rather than buying it from a can, jar, bottle, etc. The ingredient list is short, but the cook time is high. You really only need tomatoes, basil, garlic, olive oil, salt and patience. *This will make a pot big enough for a lasagna or a spaghetti dish to serve 4-6 people. Multiply the ingredients based on the amount of people you plan on feeding. Prep a large sauce pot by placing it on the stove and adding a thin layer of olive oil. 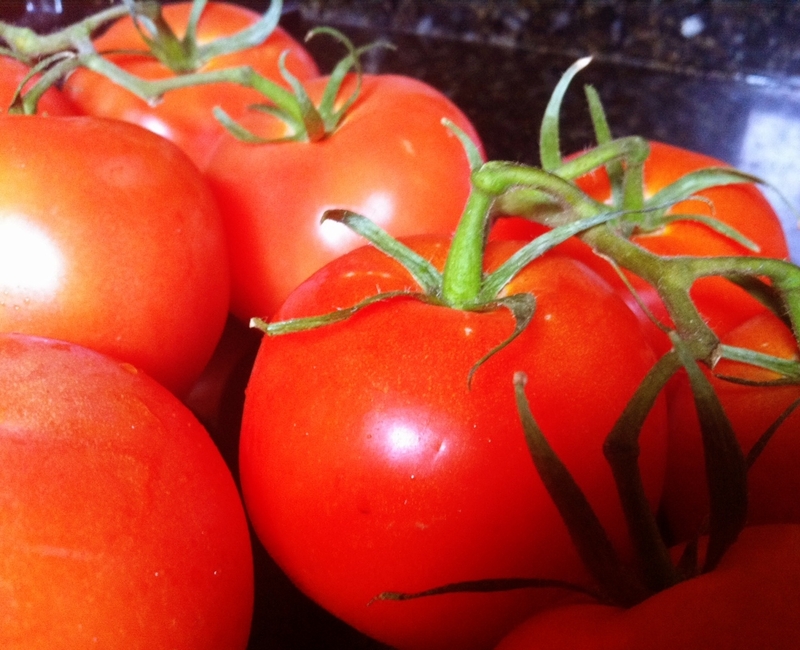 Fill a food processor (or blender) with tomato halves that are cleaned to remove spots. Make sure to save the juice and set aside in another bowl. Add garlic, salt and basil and blend until the mixture is frothy. 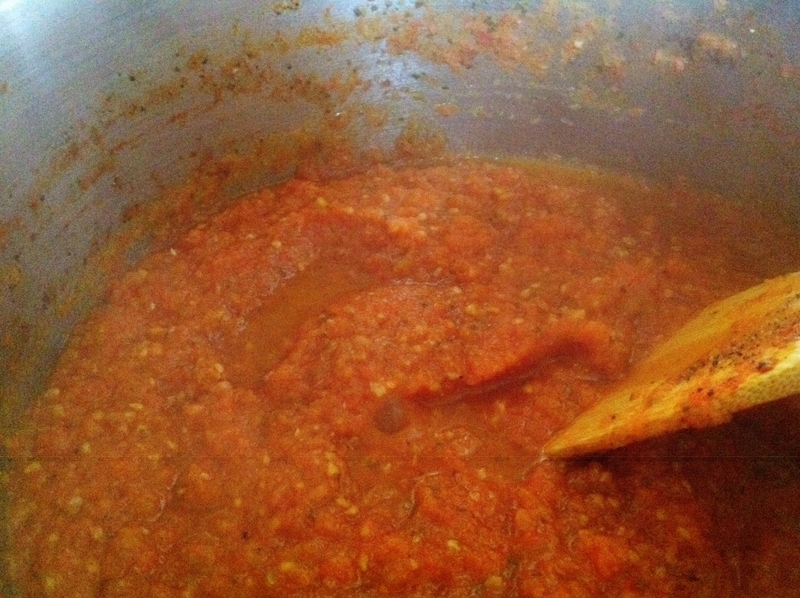 Add the tomato mixture to the sauce pot. Simmer (uncovered) over low heat for hours. Yes, hours. You want to reduce the mixture until it was half the size of what it initially was. However, you can keep simmering for even longer if you want. The longer you simmer, the more flavorful the mixture becomes. Adjust seasoning while the sauce is simmering to your liking. Once it’s cooked to your satisfaction, serve with pasta or any other ingredient you have in mind. If you don’t planning on using the sauce right away, you can jar it and refrigerate or freeze the tomato sauce until you’re ready to use it. I’m not Italian so I’m sure many people have more/better ways of making a basic tomato sauce, but I can attest that this is a good one that will serve you well with your everyday cooking.